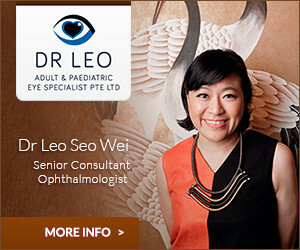 A Ministry of Health-accredited Dermatologist, Dr Wong Su-Ni has had 20 years of medical experience. Her subspecialties include Dermatologic & Laser Surgery, and Psoriasis & Photodermatology. Formerly a Consultant Dermatologist at the National Skin Centre, Dr Wong was the Chief of the Psoriasis Unit then, and a dermatologic surgeon in the Laser and Dermatologic Surgery Unit. She has been Visiting Consultant to the Departments of Medicine at Alexandra Hospital and National University Hospital. Dr Wong is currently a Visiting Consultant to the National Skin Centre. Dr Wong graduated with a Bachelor of Medicine, Bachelor of Surgery from the University of Melbourne, Australia in 1994, where she was awarded a Janet Clarke Hall Scholarship. She worked at St Vincent’s Hospital, Melbourne, before completing her Basic Specialist Training in Internal Medicine in Singapore and Advanced Specialist Training in Dermatology at the National Skin Centre, Singapore. With a natural affinity for languages, Dr Wong is effectively multilingual. Apart from being fluent in English, Mandarin, and Cantonese, with working knowledge of Malay, she has been awarded prizes by the Ministry of Education for French, and completed a course in Indonesian at the Horwood School of Languages at the University of Melbourne. Besides her clinical work, Dr Wong has also published in various peer-reviewed indexed medical journals, contributed a chapter to an atlas of dermatology, several chapters to handbooks on acne and aesthetic dermatological treatments, contributed to chapters in the DSS Psoriasis Therapeutic Guidelines and Acne Therapeutic Guidelines, and presented posters as well as free papers at local and international conferences. A sought-after speaker, she has given lectures at local and regional congresses and symposiums, as well as public forums, on diverse topics ranging from phototherapy, to biologics in psoriasis, to use of botulinium toxin, pigmentation, and aesthetic treatments. Dr Wong has been actively involved in teaching, from medical students to medical practitioners in the Graduate Diploma in Family Practice Dermatology course. Previously a Clinical Tutor with National University of Singapore, she has also been an Examiner for the Final Year Medical Students’ Dermatology Examination and the Graduate Diploma clinical and written examinations. A hectic work schedule does not impede Dr Wong from being involved in numerous committees and associations. She is currently Immediate Past President of Dermatological Society Singapore, President, League of ASEAN Dermatological Societies, Medical Adviser to Psoriasis Association of Singapore, member of the Psoriasis Workgroup for the development of the Ministry of Health Clinical Practice Guidelines for Psoriasis, member of the South East Asia Acne Study Alliance (SASA), member of the Asian Dermatologic Laser and Surgery (ADLAS) Research & Study Group, Fellow of Chapter of Dermatology at the College of Physicians,Singapore, Fellow of the Royal College of Physicians (London), and Member of Amercian Academy of Laser Medicine and Surgery. She also finds time to volunteer her services to her alma mater and to medical missions. 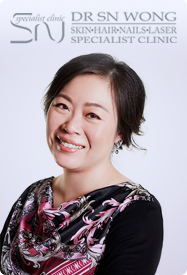 As in her professional and personal life, Dr Wong believes in holistic and balanced dermatological care, and aims to provide effective, evidence-based management of skin, hair and nails in a cost-effective manner.